A legal document presented to the Monsanto Tribunal underlines that States are accountable for not complying with their obligation to protect against human rights abuses and sheds light on the multinational’s liability under international criminal law. The Hague hosted the long awaited International Monsanto Tribunal, a civil-society initiative that aims to hold Monsanto accountable for its crimes and human rights abuses. With sessions gathering testimonies of 30 witnesses and experts from 5 continents this last weekend, the Tribunal is now expected to come up with a well-documented legal file to be used in lawsuits against Monsanto and similar chemical companies. On this occasion, FIAN International, La Via Campesina and CCFD-Terre Solidaire presented an Amicus Curiae brief that looked into the applicability of international human rights law to the cases the corporation is behind. With an underlining reference to the right to food and nutrition as recognized by international human rights law, it also outlined the territorial and extraterritorial human rights obligations that States must comply with when it comes to protecting against harm by Monsanto operations. In general terms, the amicus highlighted there is a need to further the analysis on the responsibility of States vis-à-vis human rights abuses by companies operating in their territory. It also highlights that companies must be liable under criminal, administrative and civil law. refer to the human rights of peasants, including those enshrined in the UN draft Declaration on the Rights of Peasants and Other Peoples Working in Rural Areas. The amicus, submitted to the Tribunal on Monday 10th of October and symbolically handed to the registrar of the Tribunal during the session, will be handled by the 5 international renown judges in charge. Their legal opinion on the environmental and health damage caused by the multinational is expected to be released in the upcoming month. 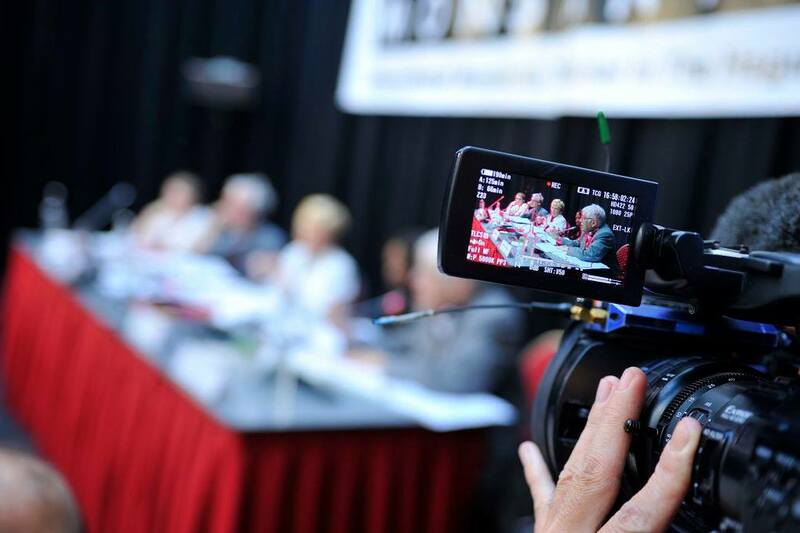 FIAN International hopes that the outcome of the Tribunal and the discussions held during the People’s Assembly will contribute to further international law that holds States accountable for their failure to protect human rights. By the same token, it is expected that this can help strengthen existing or create new mechanisms for transnational corporations to be held responsible for the human rights abuses they commit. Parallel to these developments, the process towards a Treaty on Transnational Corporations and Other Business Enterprises with Respect to Human Rights, whose second round of negotiations will take place next week at the UN Human Rights Council, will be of crucial importance. You can read the Amicus Curiae here.